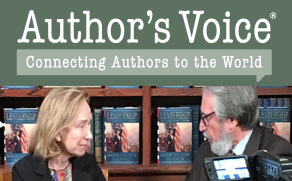 Author’s Voice presents A House Divided. Join us on August 2nd when we welcome two authors for two episodes. At 3:00pm (C) we welcome Manisha Sinha to talk about her book, The Slave’s Cause. The general belief casts abolitionists as bourgeois, mostly white reformers burdened by racial paternalism and economic conservatism. Manisha Sinha overturns this image, broadening her scope beyond the antebellum period usually associated with abolitionism and recasting it as a radical social movement in which men and women, black and white, free and enslaved found common ground in causes ranging from feminism and utopian socialism to anti-imperialism and efforts to defend the rights of labor. Drawing on extensive archival research, including newly discovered letters and pamphlets, Sinha documents the influence of the Haitian Revolution and the centrality of slave resistance in shaping the ideology and tactics of abolition. This groundbreaking history of abolition recovers the largely forgotten role of African Americans in the long march toward emancipation from the American Revolution through the Civil War. Join us at 3pm; Bjorn Skaptason hosts. Following at 5pm (C) Paul Taylor joins Daniel Weinberg to talk about The Most Complete Political Machine Ever Known. Taylor’s book examines the Union League movement. Often portrayed as a mere footnote to the Civil War, the Union League’s influence on the Northern homefront was far more important and consequential than previously considered. The disgruntled voices grew louder. These anti-Lincoln Democrats, nicknamed Copperheads, viewed blacks with disdain and considered many of Lincoln s legal decisions to be unconstitutional. Civilian disenchantment led to significant Republican defeats in the November Congressional elections. As 1862 ended, Northern morale was at rock bottom. Across the North, ardent pro-Lincoln men realized their country needed a patriotic stimulus, as well as an organized means of countering what they viewed as their Copperhead adversaries treasonous pronouncements and subversion. These men formed what became known as Union Leagues: semisecretive societies whose members had to possess unconditional loyalty to the Lincoln administration and unwavering support for all of its efforts to suppress the rebellion. Their mysterious member initiation rites were likened to a solemn religious ceremony. The Union League and its various offshoots spread rapidly across the North, and in this first comprehensive examination of the leagues, Taylor discusses what made them so effective, including their recruitment strategies, their use of ostracism as a way of stifling dissent, and their distribution of political propaganda in quantities unlike anything previously imagined. By the end of 1863, readers learn, it seemed as if every hamlet from Maine to California had formed its own league chapter, collectively overwhelming their Democratic foe in the 1864 presidential election.